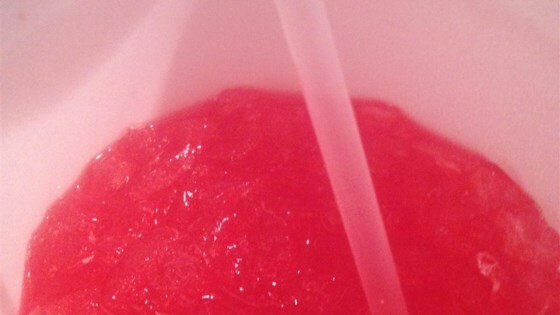 "Hands down, best tropical fruit punch EVER. There is a chain of fast-food restaurants in Little Rock called Mexico Chiquito; they sell the best fruit punch, and this is about as close as you can get! This recipe can also be made in two separate 1-gallon pitchers. Just divide the mixture of listed ingredients between the two pitchers and fill with water as above." Mix pineapple juice, grenadine, sugar, lemon juice, and instant tea powder together in a 2-gallon container; stir to dissolve sugar and tea powder. Add enough water to fill container; stir. Excellent recipe but I left the sugar out and added more pineapple juice and a very little bit of Stevia.